Most author and publisher questions about our service can be answered by following Steps 1 to 6 and reading the accompanying text. Other general questions you have may be answered by this FAQ. The Reading Club is a completely free service that helps readers find great books to read from popular and upcoming authors while providing opportunities for publishers and authors to build sales and following. Why Use a Whole Author Approach to Promotion? A whole author approach to promotion allows us to focus our efforts on the author as a whole and his or her body of works. Thus, instead of a one-time-and-gone-listing, our staff focuses on finding opportunities for our authors through our promotions, features, spotlights, behind-the-scenes articles, interviews, mailings and more throughout the term of service. For authors, the Term of Service is the period of time our editorial staff works to develop author careers, build brands and traction with the goal of increasing name recognition, title awareness, following and ultimately sales. Our standard term of service is 6 months (180) days from the start of work. 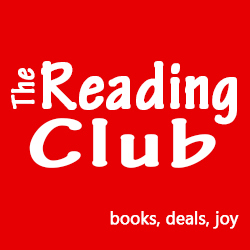 The Reading Club charges a one-time flat fee for the entire term of service. We adjust the cost of service periodically to reflect our growing reach. For authors new to our service, there is a one-time setup fee. Current prices are listed here. Why Do You Charge a One-Time Setup Fee? The first time we work with an author we must perform additional setup work. Instead of always including this fee in the cost of the service, we separate this cost from the base service fee. In this way, those who continue to use our service save money each subsequent time they use our service. For example, the actual cost of our service would be $400 for a teen/young adult author at Feb 2015 rates. That's $95 + $305 for a total of $400. Rather than charge this author $400 for the next term of service, we charge $305 for renewal, saving the author $95. We don't charge the setup fee again, provided the author continues to retain our services. If the term of service expires and the author doesn't renew, the author has 3 months (90 days) to renew without being charged a setup fee for future uses of our service. The current setup fee rate is listed here. Payment is due upon acceptance. Our staff will begin work on the author's behalf 10 business days following payment. If an invoiced payment goes unpaid for more than 5 business days, the promotion will be canceled and the author will not be eligle to use or submit to our service for consideration for one calendar year (365 days). Our promotions occur periodically over the entire term of service. With authors who pay the "3 or less" rate, we focus on 1 primary title but also look for opportunities for the author's other books, which are promoted as secondary titles. With authors who pay the "4 to 12" or "Mor Than 12" rate we focus on 2 primary titles but also look for opportunities for the author's other books, which are promoted as secondary titles. Can I Choose a Higher Promotion Level? Yes, you can and this typically works out best for authors in the "More Than 12" category, who simply pay us the combined rate for the total number of primary titles they want to promote. Can I Choose a Lower Promotion Level? At the least, you must purchase the level at which you currently qualify. Why? Value of the secondary promotions and visibility is considerable. That said, we do sometimes make exceptions for authors who have many short works, such as articles, episodes or serial novels, etc. Does The Reading Club Promote Short Stories, Novellas and Other Short Works? Yes, we do. Once an author is accepted any work available through major retailers is eligible for promotion. Does The Reading Club Promote Boxed Sets? Yes, we do. Single-author boxed sets and other types of multiple book sets are promoted in the same way as other works. For multi-author boxed sets, all contributors must be members. Does The Reading Club Promote New Releases and Pre-Orders? Yes, we do. To be eligible for promotion, the work must simply be available for order at major retailers. Does The Reading Club Look at Reviews and Ratings? No, we don't. Often reviews and ratings may not give an honest assessment of an author and his or her body of work. Instead of focusing on reviews and ratings, we analyze the author's fit for our service based primarily on his or her body of work. Does The Reading Club Discriminate Against New Authors? No, we don't. New authors with one title available at any major retailer are eligible. When considering new authors, we will look at the available work, the related product pages, the author's social media involvement and use these factors to make our determination of whether the author is a fit for our service. Does The Reading Club Accept Everyday Values? Yes, we do. A bargain is a bargain. We recognize that and so do our members. In fact, some of our members prefer everday bargains and our promotions of everyday values get great responses. Does The Reading Club Accept Permanently Free? Yes, we do. Free is free. We recognize that and so do our members. In fact, our first free and everyday free promotions often do better than limited-time free promotions. What Price Ranges Work Best for Promotions? Members of The Reading Club expect great values and are willing to pay for great books at value prices. A value is a value, and a discount is a discount. Not every book can be discounted 50%, 75% or 100%. Our top authors -- authors like Nora Roberts, John Green, Stuart Woods and John Grisham -- have good success with competitively-priced works and exclusive member offers from $9.99 to FREE. For full-length works, values typically are priced from $9.99 to $2.99. With shorter works, values are typically priced from $5.99 to .99. Our popular indie authors have good success with value prices from $5.99 to .99 and FREE. For full-length works, the most success comes from works priced from $5.99 to $2.99. For shorter works, the most success comes from works priced from $3.99 to .99. Of course, FREE is always good, but authors don't need to give their works away for free or pennies to be discovered, treasured and read. What Duration Should Sales Have? Members of The Reading Club love sales, discounts and bargains, but they don't want to chase them everyday or even every other day. Our member authors have much better success with sales of longer duration than sales of shorter duration. The sweet spot seems to be at least 30 days. Does The Reading Club Guarantee Results? No, we don't. Unfortunately, there is no magic pill for success or sales and all we can do is perform honest work on an author's behalf. We can't make anyone buy or download anything. There are too many factors beyond our control, including open rates for mailings and participation rates. What we can do is work to build awareness, name recognition, brand recognition, and other elements that can lead to success. Does The Reading Club Offer Refunds? No, we don't. Once work has begun on an author's behalf we cannot offer a refund of any type, partial, full or otherwise. Our time and resources are valuable and whether or not they lead to success and sales is beyond our control. Again, as stated earlier, there are too many outside factors. What we can do is work to build awareness, name recognition, brand recognition, and other elements that can lead to success. How Can an Author Earn Free Promotion? Our affiliate program allows member authors to earn service extensions when they signup readers and those readers list the member author as their sponsor or use the author's affiliate link. What Category Should an Author Specify as the Primary Category? The primary category is simply the category that best fits the highest number of works by the author. For example, if an author has written four mysteries, three children's books, and two reference books, the author's primary category is likely going to be mysteries. The final determination of this is at the sole descretion of our staff and based on best fit and best opportunity to reach the widest audience. How Does an Author Notify The Reading Club About Sales and Promotions? During the term of service, authors are allowed to submit updates about any sales and promotions they have and our editorial staff will try to work these promotions into our promotions, features, spotlights, behind-the-scenes articles, interviews and mailings. Authors are provided with a link to a web page where they can submit these updates as part of the setup process. Whether an author provides updates or not, our editorial team will perform promotion work on the author's behalf throughout the term of service. How Often Can An Author Submit Updates? In order to be fair to all participating authors, we ask that an author submit updates no more than twice (2) per month and a maximum of eight (8) times during any ONE term of service. That means no more than 8 times in any six-month term of service. Any author who runs promotions more regularly should ask about the possibility of running multiple consecutive terms of service. Whether an author provides updates or not, our editorial team will continue working on the author's behalf throughout the term of service. How Far In Advance Should Promotion Updates Be Submitted? We ask that authors submit updates about upcoming promotions at least 14 days in advance of the promotion. The update should include the date(s) of the promotion, the promotional price, and links to the book at any retailers where the promotion will take place. 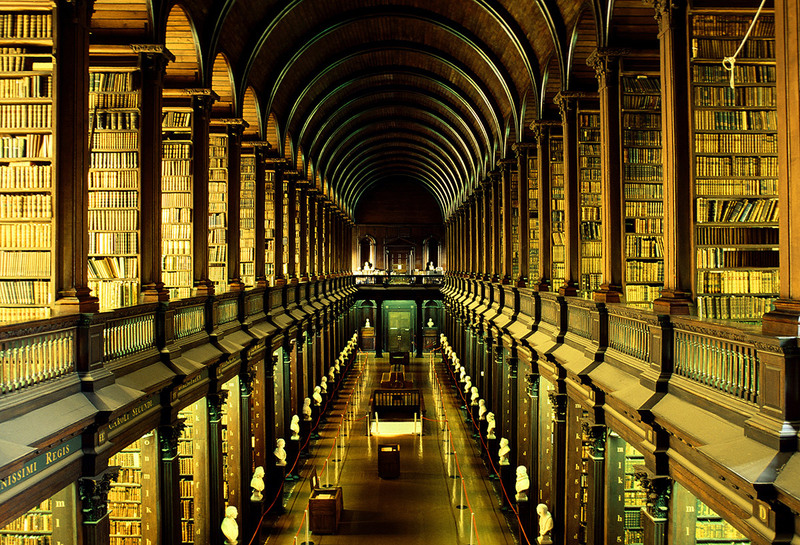 Where Do The Readers Reside? Readers who participate in our site and services are from all over the world, but primarily the US, UK, Canada, France, Germany and Australia.